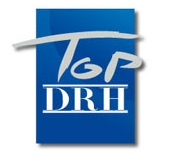 [section_dd][column_dd span=’12’][text_dd]Top DRH is held for the twenty seventh consecutive year and has emerged as an important institution in the field of Human Resources in France and internationally. It is organized by Arcaneo and AEF Group, a well-known journalistic organization, in Deauville, France. Top DRH Business Meetings with their unique concept is a real opportunity to meet the key players in human resources with scheduled appointments. It is a human-sized event that emphasizes quality and personalized contact. The exclusive organization of meetings between makers and experts as well as the methodology of the Business Convention, guarantee high value and confidential interviews. [section_dd][column_dd span=’12’][text_dd]The Euro-Med @ Change: Egypt Roadshow, under the theme “Local Innovation towards Internationalization”, is the 5th Euro-Mediterranean Investment Academy and Business Forum; preceding France, Tunisia, Morocco & Lebanon roadshows and succeeding Belgium`s one. It was jointly organized by the General Authority for Investment (GAFI) and ANIMA Investment Network from June 1st to 3rd, 2014 at Fairmont Heliopolis Hotel.